Preheat oven to 350°F. Coat a baking sheet with a thin layer of cooking spray. In a small bowl, whisk together next six ingredients, creating a marinade. Place chicken into prepared baking sheet and brush with marinade. Bake chicken for about 30 minutes or until no longer pink in center. 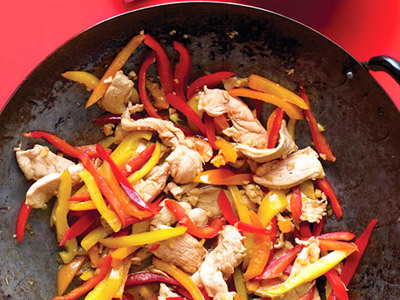 Serve chicken on a bed of brown jasmine rice and your favorite steamed vegetables.